The Rain’s reign was brief, but they left behind a genuine “lost” album which has only recently seen the light of day outside Japan and which will come as a pleasant surprise to aficionados of Brit psych. Gary Leeds was only ever a third wheel to the Walker Brothers, a non-singing drummer thumping the tubs on live dates and TV appearances and providing a further piece of eye candy for the photo shoots. However, such was the impact of the Walkers in Europe and Japan that, when the trio folded, Gary was easily convinced by conniving manager Maurice King to put together a new band in England on the basis of his kudos as a former Walker. He was fortunate enough to recruit two capable Merseybeat veterans, Joey Molland (vocal, lead gtr) and Paul “Charlie” Crane (vocal, keys, gtr), plus reliable London bassist John Lawson. Allegedly Molland’s interview ran thus. Leeds: “You look like Paul McCartney. Can you sing like him?” Molland: “Yes”. L: “Can you play guitar like Eric Clapton?” M: “Yes”. L: “You’re in.” Serendipitously, he really could do both, besides proving an adept songwriter. Lawson got the job on the basis of his Gene Clark-like good looks and his orange jacket and purple loons; such are the vagaries of rock showbiz. 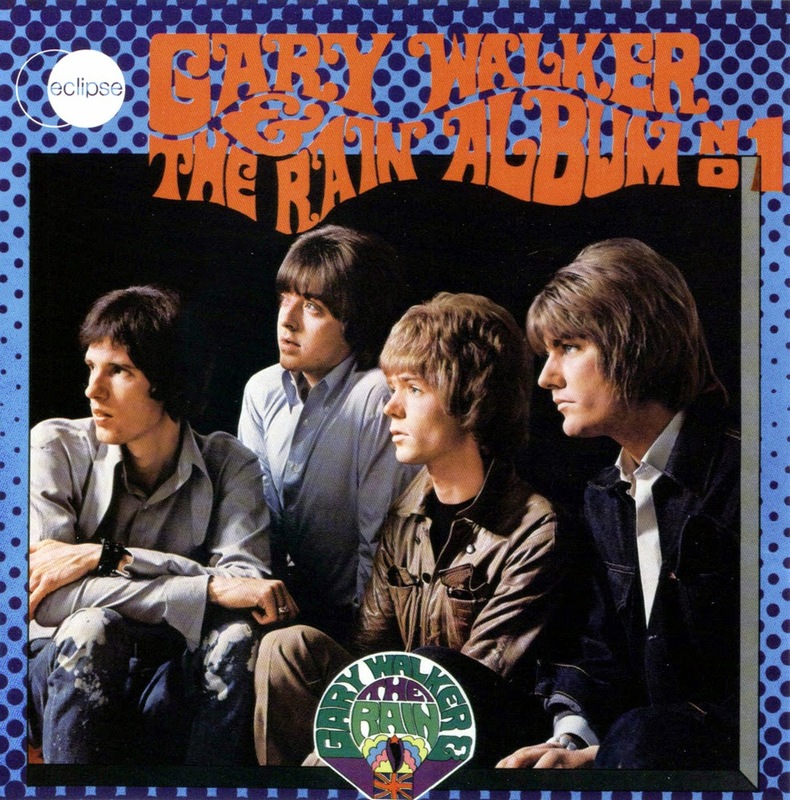 Unashamedly cashing in on Leeds’s celebrity, the outfit would be known as Gary Walker and the Rain. The band’s recording career kicked off with a passable cover of “Spooky” that failed to show in the UK or America but sold well in Japan, where the Walkers had belatedly achieved godlike status. On the basis of this UK Polydor permitted them to record an album, but then inexplicably refused to release it. Only in Japan, where the band’s local label, Philips, was crying out for further product, did it hit the shelves; its title there was Album No. 1, which follows a Japanese penchant for such unambiguous nomenclature whilst appearing pretty humdrum to Western sensibilities. On the ensuing tour of Japan the band were mobbed by teenage girls, with the lion’s share of the attention going to the drum-stool god rather than to the talented but unknown front line. Sadly, Beat Era heroes were less in vogue in the UK by 1968; the gigs dried up, two subsequent single releases tanked, and the band called it a day just a year after coming together. Molland went on to be a cornerstone of Badfinger, while Crane became a noted music publisher. Leeds enjoyed a brief renaissance when the Walkers reunited in the mid-70s. The album itself proves gratifyingly to be a distinctive pop-psych set falling somewhere between a pre-Tommy Who, an un-flanged early Status Quo and a nascent Badfinger. The slightly hazy production was by ex-Four Pennies bassist Fritz Fryer, who enlisted much inventive studio trickery to enhance the uncompromisingly basic eight-track recording facilities. The leadoff track “Magazine Woman” sets out the stall, with choppy rhythm, stun-gun lead guitar, delightful rough-edged harmonies and “Taxman” rip-off bassline. The ensuing tracks move from late Merseybeat through freakbeat to proto-metal, some played straight, others psychedelically treated. Notable are “Thoughts Of An Old Man”, distinctly Pepper-ish musically and lyrically; “Francis”, a crunchy, stereo-tastic garage rocker chronicling the adventures of an elderly philanderer; and a totally wigged-out cover of Lieber and Stoller’s venerable “If You Don’t Come Back” in best Jeff Beck Band style with thudding backing and shards of barely controlled guitar feedback. The original album closes with two ballads: the harpsichord-driven pop-baroque “I Promise To Love You” and the gentle countrified acoustic “Whatever Happened to Happy”. 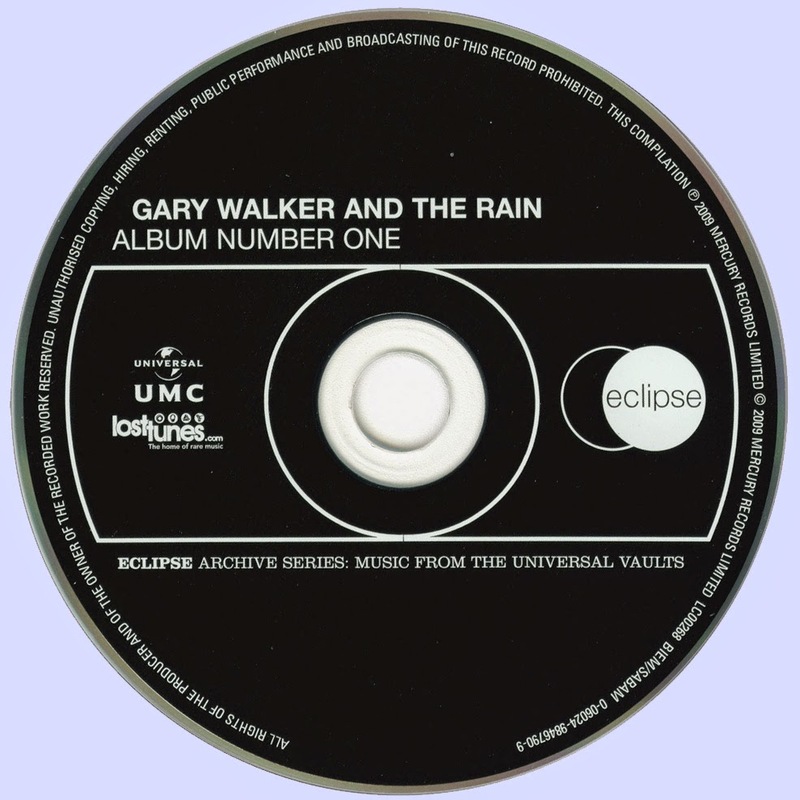 The album finally hit the Western World as a CD in 2009, boosted by the band’s sole post-album track and both sides of a single recorded earlier by Gary with some Japanese musicians styled the Carnabeats. The B-side of this is unselfconsciously wet-yourself hilarious. Why? I ain’t telling; you’ll have to get the album to find out.